This novel is exquisite storytelling and a must read for all historical fiction fans! Inspired by the real love letters between Captain Roland Jones Ward and Miss Elizabeth Clouston, Tamera Alexander tells a beautiful story of love and loss. With This Pledge is taken from the pages of our country’s most turbulent time, the Civil War. Miss Clouston, “Lizzie”, is a governess for the Carnton family near Franklin, Tennessee. Everything about Lizzie’s life is in turmoil. Her heart hopes slavery will meet its end in this terrible war, while her fiance fights for the Confederacy. The war arrives at her front door when the Carnton home is unexpectedly turned into a field hospital. Among the wounded is Captain Roland Jones, a handsome Confederate soldier with whom Lizzie finds an unexpected attachment. As the story unfolds, Lizzie is forced to come to terms with who she loves and what her life will become once the war ends. There is so much wonderful in this book. Tamera Alexander tells a riveting love story against the back drop of a dark and grim time in our history. Not only does she help us know the circumstances of the characters, but she also guides us through the two sides of the conflict. It must have been a difficult task to write about such tumultuous period in history. She did such an amazing job of stepping into Lizzie’s and Roland’s shoes to allow us to see their life through their own eyes. 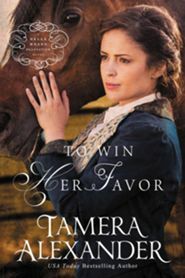 I never miss a new release from Tamera Alexander and you shouldn’t either! With This Pledge is a must read for this year! I know with great certainty that it will be on my Best of 2019 list! I requested a copy of this novel from NetGalley to read and review. I was not required to write a positive review. NetGalley gives readers an opportunity to read books in advance of their release. Check them out at NetGalley.com! Free EBook by Tamera Alexander! Download Rekindled by Tamera Alexander free on Amazon, Barnes and Noble, and CBD.com! 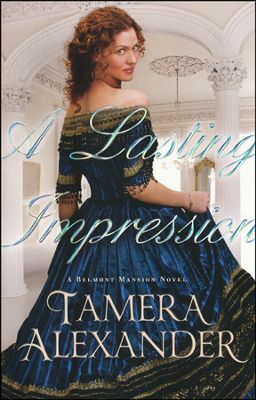 Tamera Alexander is one of my favorite authors! 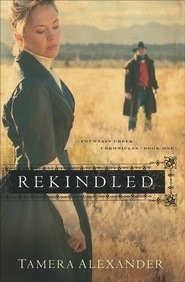 I have read Rekindled and can say with great confidence that it is a stellar choice for summer reading! There are few things I love more than a good book. Overtime I have developed a veracious appetite for all things historical fiction. It’s not the only thing I read, but definitely my preference. Here are my most cherished books. I have read some of them more than twice. 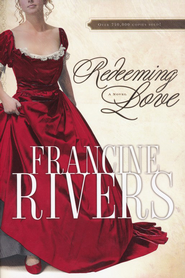 I read Redeeming Love by Francine Rivers every year. 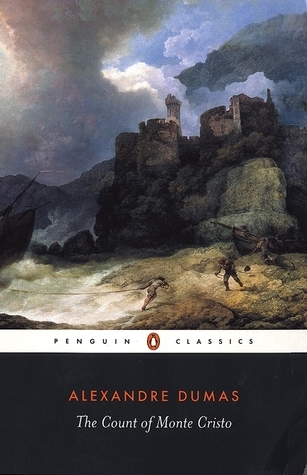 It is an amazing work of fiction and is in my top five without a doubt. Redeeming Love is a fictionalized retelling of the Book of Hosea from the Bible. Bible reader or not, this book is incredible and difficult to put down. Ahhhh! Just seeing the cover makes me want to read it again!! 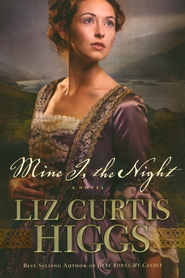 Mine is the Night by Liz Curtis Higgs is the fictionalized retelling of the Book of Ruth from the Bible. Again, you don’t have to be Bible savvy to read and enjoy. In fact, I had no idea it was based on the book of Ruth until I began reading it. Needless to say, I love it. Magnificent cover! Laura Frantz is in fact my favorite author. I stumbled upon her first book in my local library, The Frontiersman’s Daughter. I spent two nights barely sleeping because I had to know how it would end. 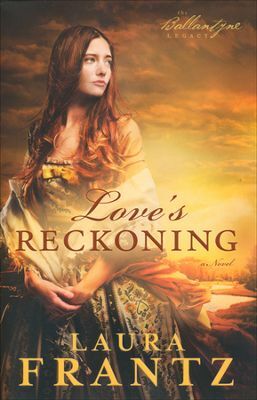 Of her books, if I were to pick my very favorite, it would be Love’s Reckoning. When I am out of books to read, I read this one again. 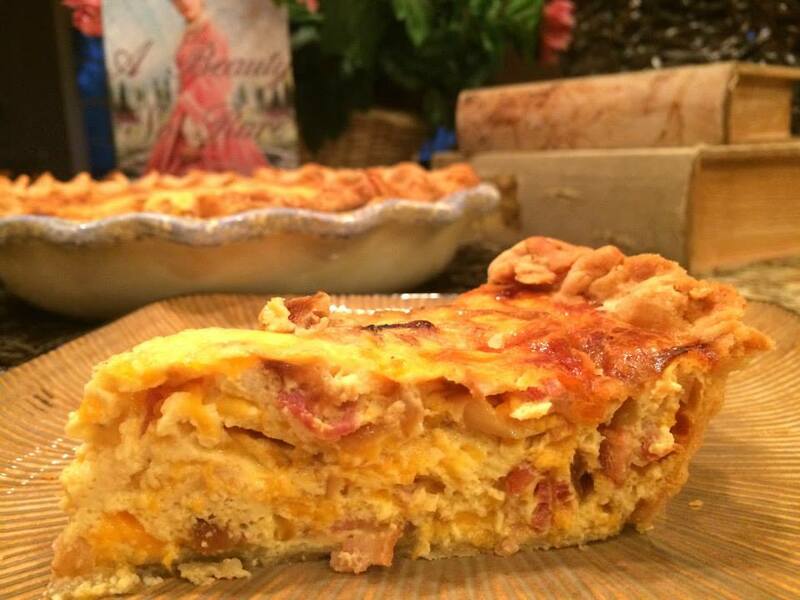 Remember Anne of Green Gables? Well, It was written by L.M. Montgomery. 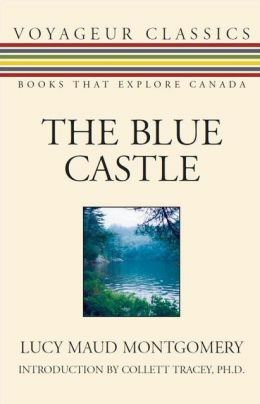 She also wrote this lovely book, The Blue Castle. I adore it. I bought it on my Nook because it is obviously an older book, but I so want a hard copy. Put this one at the top of your to read list. I fully intend to devote an entire blog post to this life changing book. Until then, I encourage you to hurry to your local bookstore and buy this book!!! The lens with which I view the world is forever changed. After reading this book, I find myself discovering gifts from God everywhere I look. Christmas everyday. 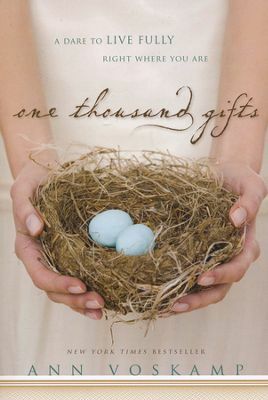 I have even started my own list of 1000 gifts. 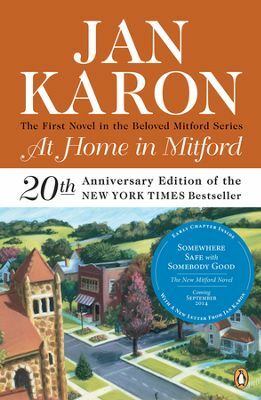 The Mitford books by Jan Karon are endearing and heart warming. They reignited my love for reading after college. There is nothing like four years of mandated reading to kill your joy of pleasure reading. I read every book in this series. I am so thankful my Mother-in-law recommended them to me. So now I am paying it forward. This one is a little bit of a commitment, but well worth the effort. I first read this book in the seventh grade. Full of mystery, intrigue, love, and even revenge, I am certain it will become a favorite. I have read all but one of Tamera Alexander’s books. This is by far my favorite. I clearly remember the night I stayed up nearly till dawn to finish it. So good!! Tamera Alexander’s books are always a guarantee great read. 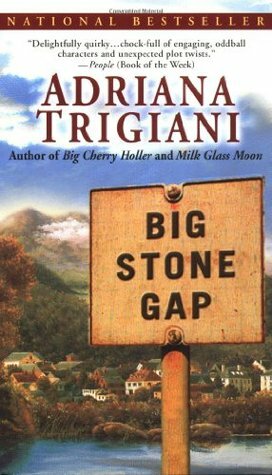 Last but not least, Big Stone Gap by Adriana Trigiani. This is a laugh out loud kind of book. I have read it many times and I am never sorry. It is the first book in a series, but in my opinion, it is the best in the grouping. Bonus, it is being made into a movie starring Ashley Judd! Sometimes, a dream slips away and we feel like we have lost all hope. And then in a grand and miraculous way, God comes through with a dream far above and beyond anything we could ever hope for or imagine. 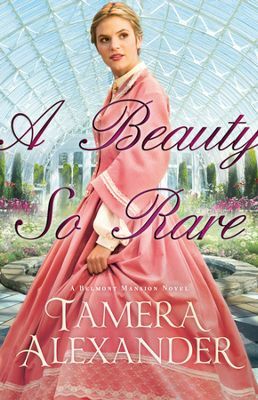 This is the story Tamera Alexander masterfully crafts in A Beauty So Rare. In this book, Eleanor Braddock has figured out how to care for her father and herself only to have all of her efforts come up void. Throughout the story, Eleanor finds not only her purpose in life, but so much more. I loved this book for so many reasons. I love the detail, history, and setting. This is truly one of those books you read and feel like you know the characters. From Eleanor’s Aunt Adelicia Acklen Cheatham who isn’t nearly as shallow as I first believed to Marcus who gently reaches for Eleanor’s heart. This is a book well worth reading and keeping on your shelf to read again. 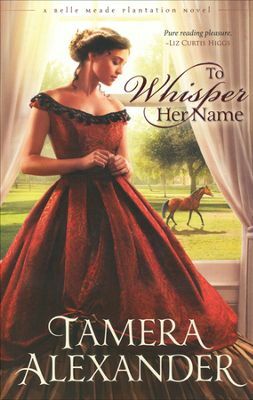 Here is a clip of the author, Tamera Alexander, talking about her inspiration for writing this lovely novel!